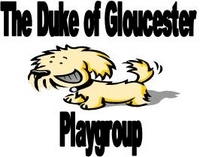 The Duke of Gloucester Playgroup has been part of the Duke of Gloucester Barracks for over 30 years. It is a wonderful environment for preschool children and offers affordable childcare without ever compromising on quality. We are a non-profit organisation and that means we rely very much on the generosity of others and the fundraising efforts of our staff and parents and carers. Our fundraising committee is very active and we are always looking for ways to enhance our stimulating and educational environment whilst also providing our children with new toys, books and outdoor play equipment. This is why we have teamed up with Cash4Coins. We hope that our supporters will be able to arrange foreign coin donations using Cash4Coins or by bringing their foreign coins directly to the playgroup. We would be delighted to receive donations no matter how small so that we can continue to maintain a happy and thriving environment for our children. What currency can be exchanged? The great news for our playgroup is that Cash4Coins accept any foreign coin or bank note and will deposit the money generated from all donations directly into our account. It gives us one more way to generate money for our wonderful playgroup and almost everybody will have foreign coins of some type lying around at home. Here’s a handy checklist so why not go and look around the house to see what you can find! It really couldn’t be easier for you to send us a donation through Cash4Coins or directly to the playgroup. If you are donating via Cash4Coins, you’ll need to download our currency donation form and enclose it with your coins. That way Cash4Coins will be left in no doubt who to direct your donation to. We really are grateful for all donations we receive no matter how small. For more information about donating foreign coins and notes to schools, please visit our homepage.